The first stop is Sugar Boy Crawford And His Cane Cutters’ 1953 New Orleans Party-Gras song, “Jock-A-Mo,” about rival “tribes” during carnival time. The syncopated Calypso rhythm goes back much further, of course, to American Indian-Afro-Caribbean traditional songs. A jock-a-mo was a jester of sorts. The interspersing of the nonsense words, “iko iko” added a feeling of ecstatic out-of-control lunacy to the song. In 1965, The Dixie Cups, who later would have a smash syrup hit with “(Goin’ Into The) Chapel Of Love,” released a single that same year called “Iko Iko,” a direct lift of Sugar Boy’s tune, which brought on a lawsuit that ended in a settlement for Crawford. Dr. John created an iteration of “Iko-Iko,” freely adding and subtracting lyrics as he saw fit. It has been covered by performers as diverse as The Grateful Dead; Cyndi Lauper; and Warren Zevon. “Iko Iko” in all its incarnations is a primo party song to dance to with your Abita Straw-Berry. Another thread woven into “Rehab” is the tongue twisting brainteaser “The Name Game,” by Shirley Ellis in 1964. Fee fie mo Mirley, Shirley! Fee fie mo Mincoln, Lincoln! 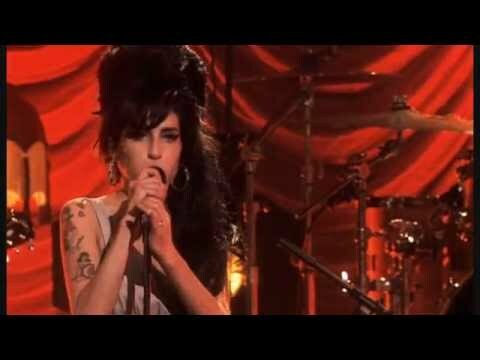 Again, there is a stuttering syncopation that can clearly be heard in the much darker Winehouse creation. When she wrote the song, her death, of course, couldn’t be foretold although once she died of substance abuse, it came as little surprise. “Rehab” serves as her epitaph. “Rehab” was popular in its first release period, and the album from which it was lifted, Back To Black is an iconic work of the ‘00’s. Hathaway, who suffered from paranoid schizophrenia and skipped taking meds regularly, threw himself out of the 15th story window of New York’s Essex House Hotel onto the sidewalk of Central Park South. The tale is cautionary to most, but it seems for Winehouse it served as a summons. Her delivery is tough, torchy, and conquers the great heights of Blues – heartfelt, funny, and resigned all in one turn of phrase. Although it seems macabre to say so, “Rehab” is a fabulously danceable tune thanks to the singer’s soulful timbre and the Dap-Kings’ superior ability to effortlessly run a beat hard and fast without seeming rushed or contrived. In the end, what finally catapults “Rehab” into the heavens of greatest Rock-N-Roll songs of all time are the Winehouse vocals. The girl knew she was going down. She wants to be left alone. Her protests – especially in the reference to her daddy in the first verse – are stamped with a seductive immaturity. In a scant 3-1/2 minutes the song mounts to the heights. 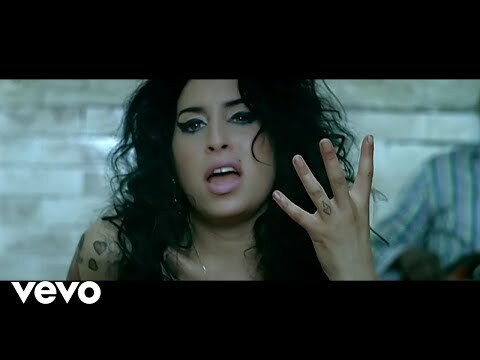 Music truly lost a great one far too early when Amy Winehouse checked out of life instead of checking into rehab. “Rehab” won three Grammys at the 2008 awards show: Song Of The Year, Record of the Year and Best Female Pop Vocal. “Rehab” took three years to go platinum (in 2010). It has sold 1.5 million copies in the UK, 2 million in the US. Elsewhere around the world it has sold another million.